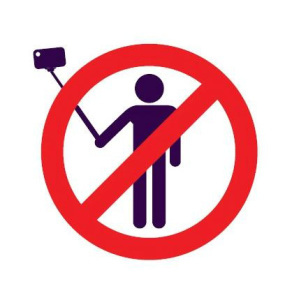 Why does the use of a selfie stick in an attraction make sense to some people? Probably for the same reason people take flash photography on dark rides, and stick their iPads in the air to catch parades and fireworks. These people feel as though they are entitled, that they are the only ones on vacation in a Disney Park. Please, people, use some common sense and try to be aware of other vacationers around you. And, be aware of the safety issues that arise due to your ignorance. 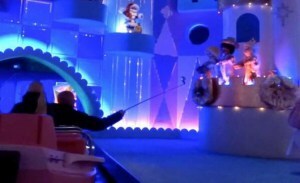 I realize that the selfie stick debate has raged in the Disney fan circles for quite some time. I have heard horror stories of guests almost losing eyes, avoiding bruises, and various other injuries. All at the hands of careless guests wielding this instrument of destruction. However, I wanted to give you pro selfie stick folks some other alternatives. Also, I want to give the Disney brass reasons for banning these things completely from the parks. So lets start with the fact that many other places and events have already banned them. Examples include museums, The Kentucky Derby, soccer stadiums, large concert festivals, and even the Colosseum in Rome. Disneyland and Walt Disney World have banned them on attractions only, but lets be honest who can really stop them once they are in the park.